BVI RFU is preparing 12 players to attend RAN 7's in Mexico City on November on November 25th 2017 at Camp Marte. 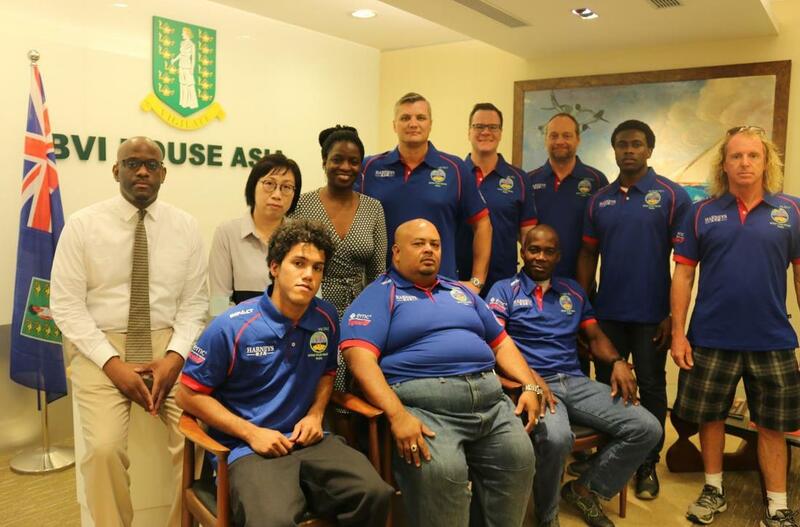 The tournament is for teams in the Caribbean, Mexico and North America in which we can qualify for 2018 Central American and Caribbean Sports Organization (CACSO) Games, 2018 Hong Kong Sevens, Rugby World Cup Sevens 2018 and Commonwealth Games. 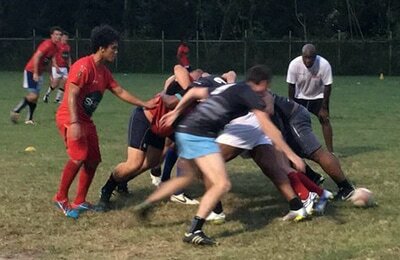 We are training six days a week fitness in the morning and rugby training in the evening to compete at Mexico. 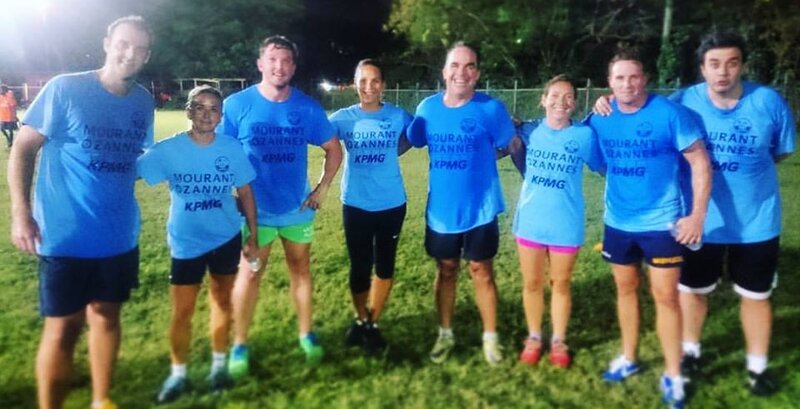 With just 1 week to go before the Playoffs in the BVI RFU Corporate Mixed Touch Tournament, it's KPMG/Mourantz leading the charge taking their matches 7-2, 11-0, 2-1, 4-3, 7-2 and a total of 31 points scored. Their win over tournament favorite Cary Olsen/Alix provided much entertainment for the spectators with touch regulars Jaques "Kanga" Roux and Becky Roulette battling it out against the speedsters Tim Pasons and Rory Greenan. Cary Olsen/Alix have 4 wins as do surprise touch powerhouse Harneys. HLSCC look likely to make the Cup competition on finals day with 3 wins out of the 5 games played so far. With 2 games left for each team a single win or a draw secures their spot among the top 4 for the Finals Day as does any further losses by both FTL/Ogier or R&H/Appleby. FTL/Ogier's draw with R&H/Appleby has them both at 1.5 wins. SHRM and EMCS are at the bottom of the table. Week 3's matchup of tied for 2nd place Harneys and the wins leader KPMG/Mourantz should prove to be the days sizzler. HLSCC first match in week 3 against the win-less EMCS will be their best chance to secure their spot in the Cup as they close their campaign against against the formidable Harneys. Cary Olsen/Alix will be expecting to pick up wins against both FTI/Ogier and R&H/Appleby in an attempt to steal the number 1 seed and hoping that KPMG/Mourantz will not be able to keep up their top form. EMCS has two very tough matches in Week 3 against top tier teams HLSCC and KPMG/Mourantz. 2 more losses will take them into finals week as the 8 seed. A team made up of plenty of real rugby experience. They have yet to find their rhythm in the touch format but things could change as they settle into a groove. They are putting points on the board but just not closing out games in front. Please come down to join us Wednesday June 14th 2017 for Week 3. Food and beers on the sideline while watching some fun matches with you corporate friends and the members of BVI Rugby Football Union. 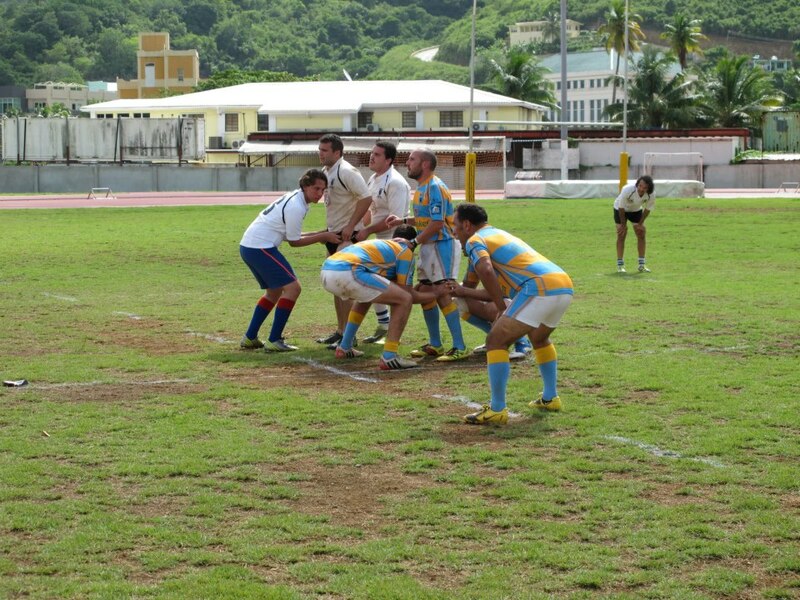 BVI RFU goes into the summer on a high, having returned from the USVI with a dominating shutout against the USVI Privateers 15 - 0 in two 10 minute halves of rugby 10's on Saturday 10th June 2017 . 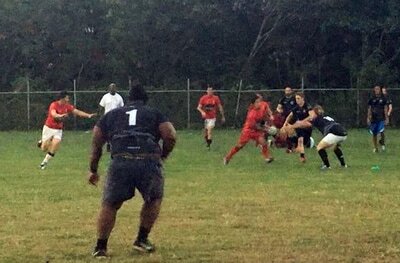 It was a heavy BVI side with BVI 15's front rows Kareem "Burger" Ettiene, Jeff Kirk, Damion Brown, Jeovon Thompson and Ian Morton striking fear in the hearts of our lighter American counterparts. With all those extra kilograms the BVI scrum dominated and was able to win all their own feeds and steal a few of the oppositions. BVI 7's star Joseph Smith sidesteped and sprinted away from defense on several occasions, eventually picking up BVI's first try. 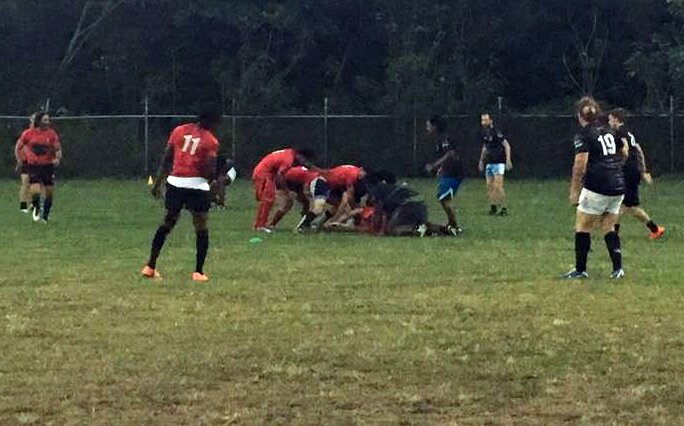 Andre Adams managed to create a 2 on 1 on the wing and squeezed in for BVI's 2nd score taking on a body slamming supplex as he crossed the line but was able to get enough downward pressure to convince the referee. 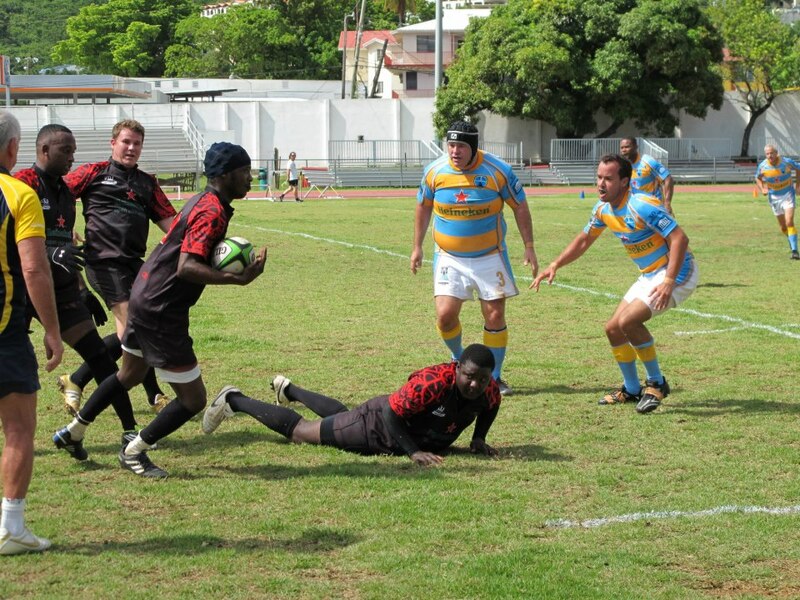 Veteran Victor Franklin picked up the 3rd for his 187th BVI try. Luuke Soeters was given a tough job kicking all 3 conversions from the sideline. 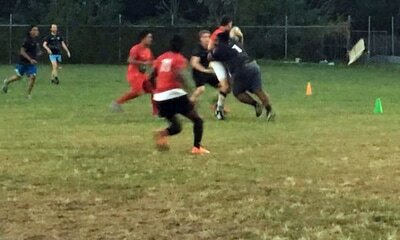 None were able to sail through the uprights but BVI closed the match out 15 - 0 with stellar defense and big tackles all over the field. Puerto Rico did not show with a full squad so an extra game was held where the 5 Puerto Rico players mixed in with the VI sides. 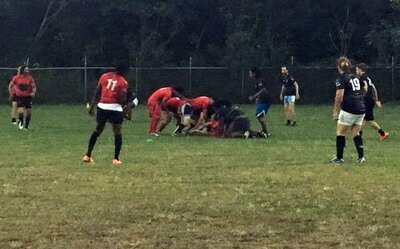 That match ended very tight with the USVI side coming out on top 14 - 7. The after party was held in Magen's Bay at the King of the Wing celebrations. 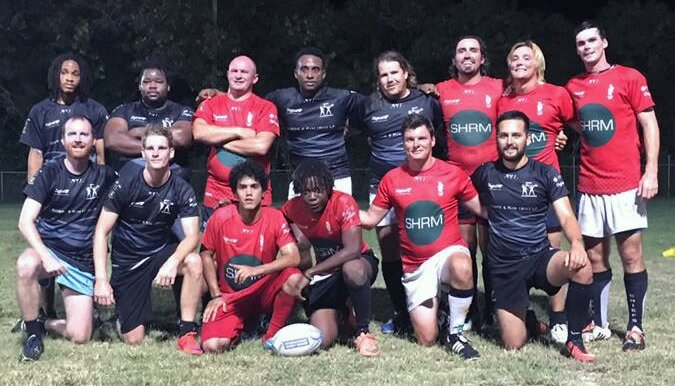 With a full domestic 7's league scheduled to begin in September the BVI RFU is continuing it's Summer 7's Series with 7's matches between the local teams. Wild Wild West is shaping up to be the BVI's top squad after completing destroying a team made up of a combination of East and Central players two times in a row. The East/Central team was completely shut out in the first match 38-0 after two 10 minute halves. In the 2nd match the SHRM Wild Wild West were unstoppable scoring at will with tries coming from all areas of the pitch. Newcomer to the BVI rugby scene, UK's Martin "Smudge" Smith got wrapped up by Tola's big man Kareem "Burger" Ettienne and driven back 10 meters before being smashed into the hard ground for his first real taste of the Caribbean's firm pitches . 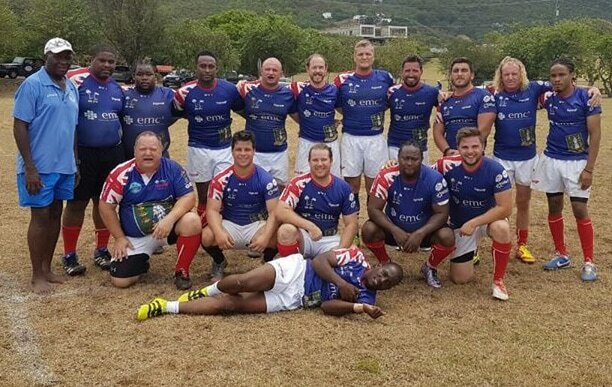 Smudge linked up perfectly with other rugby veterans such as BVI Captain Victor Amapro, South Africa's Luke Soeters and UK's Tim Parsons to form an unstoppable offense for the Wild Wild West. Smudge picked up his first try in the BVI calling for the ball at the 22 bursting with speed and then sliding into the try zone. East Entertainers scrum half Tom Chapman was able to scamper over the line for a score after a scrum on the oppositions try line but it was not enough from the boys in black. The final score had West dominating 54 - 5. 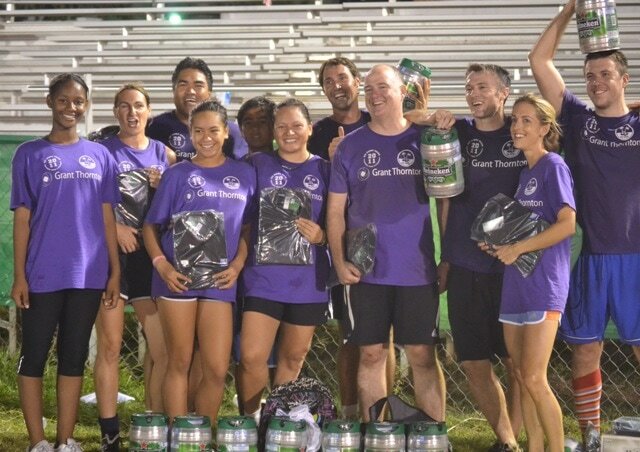 Hats off to the SHRM Wild Wild West defense for doing a remarkable job keeping their opposition from scoring on several occasions. 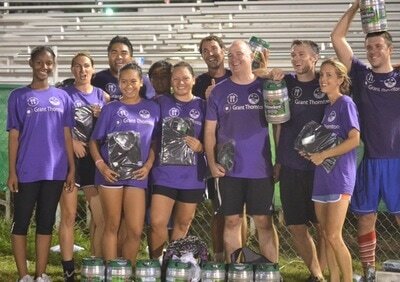 Get ready for some fun evenings testing your skills at touch rugby. Beers and banter on the pitch afterwards. The strong will make it to Bomba Shack for analysis and further refreshments. The much anticipated BVI RFU Corporate Mixed Touch Tournament will kickoff next week 31st May 2017 and will run for 4 weeks with the finals being contested on Wednesday 21st of June 2017. Teams must field at least 2 women at all times. 8 teams are vying for the trophy and it is expected to be hotly contested. The teams are below. Download the PDF to the right for the weekly fixtures. 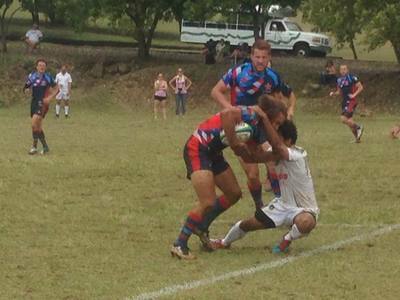 USVI Rugby will host a 10's tournament in St Thomas between BVI, USVI and Puerto Rico. The BVI lads are very excited to showcase their skills against our Spanish speaking brothers to the West as the teams have not met for several years. 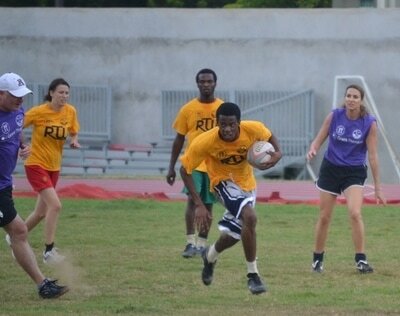 BVI players are reminded to attend training to get prepared for these matches. Lots of pride on the line. Players enrolled in full time education will have their traveling costs to St Thomas covered by the Union. Please apply to Andre Adams and report you intention to attend to Solo. Spread the word to your team mates. Let's get together and show the yanks who dominates the region. 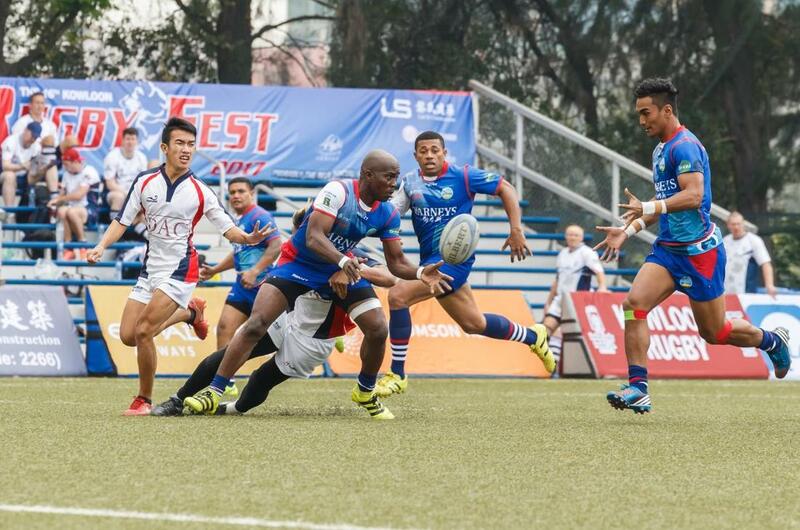 BVI RFU competed in Hong Kong’s 2017 Kowloon Tens tournament, advancing to the Cup quarter finals, before being knocked out in an extremely close game to Russian team Berdsk from Krasnoyarsk. 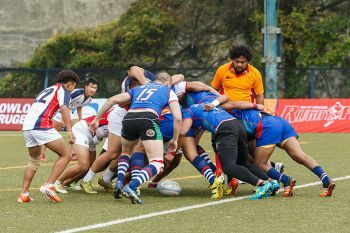 “We met our goal,” said Stuart Cullen, Back Row Forward, speaking of the team’s performance, which was to advance further in the tournament thanlast year, when the team had a third place finish in Plate competition. There was another metric the team exceeded this year: more players were involved in financial services than ever before. Cullen is Counsel at Harney’s in the Virgin Islands (VI) but on secondment in Hong Kong. Fergal McLoughlin, Back Row Forward, is a corporate lawyer at Harney’s in the VI. Paul Christopher is Managing Partner, Hong Kong with Mourant Ozannes. Victor Amparo, Scrum Half and the 21-year-old captain of VI’s national rugby team, works in corporate administration for SHRM. Noel Maxwell, the team’s 19-year-old centre, is studying finance and business administration at university in Canada. The BVI RFU would like to continue to attend this tournament annually. Please get in touch if you are interested in joining us next year or helping out with sponsorship. The Lai Si Construction Kowloon RugbyFest will start on April 4th 2018. The BVI National Under 23 squad has returned from an excellent display of rugby at the neighboring Rugby Paradise Smash is St Thomas, US Virgin Islands, finishing in 3rd place but gaining much respect from their coaches and peers. BVI lost it's first match to US Stars in a shutout 19 - 0. The lads showed a lot of grit but were overcome by the skills and organization of their American opposition. 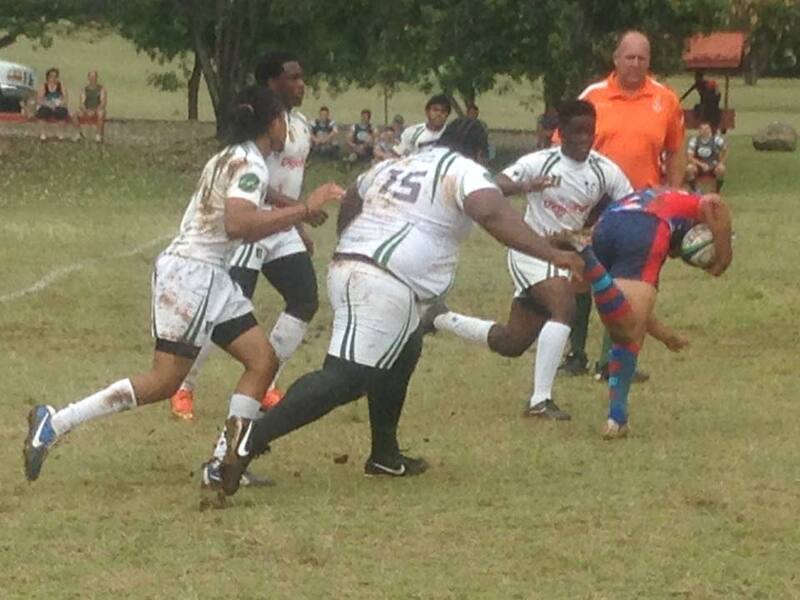 With their bodies bruised but their spirits intact they went on to dominate Bowdin College physically with the might of Kareem "Burger" Ettienne smashing through their defense on the way to the try line. 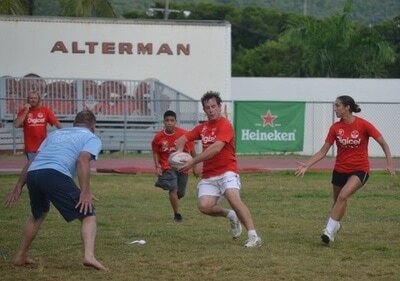 Colin Beckham scampered through the defense to rack up his first points for the BVI in an excellent display of flowing rugby. Noel Maxwell picked up a try and scored 2 conversions out of 3. BVI ended the match 19 - 12 to pick up a much needed win and set them up for a match that could secure them a place in the finals. Unconverted tries by Joseph Smith and Paul Oliver were not enough to take down Babson's barrage of 4 converted tries and Babson College of Massachusetts took the win 28 -10. With only 1 win out of 3, the BVI did not make the finals and took on Bowdin for 3rd place. The young BVI lads were able to take the match 20 - 7 with Captain Victor Amparo picking up 2 tries along with big man "Burger" mowing down all in his path for another score. Noel Maxwell was also able to get on the score sheet with is own try. None of the 4 were converted. Joseph Smith and Kareem "Burger" Ettienne were selected to the All Star Team. 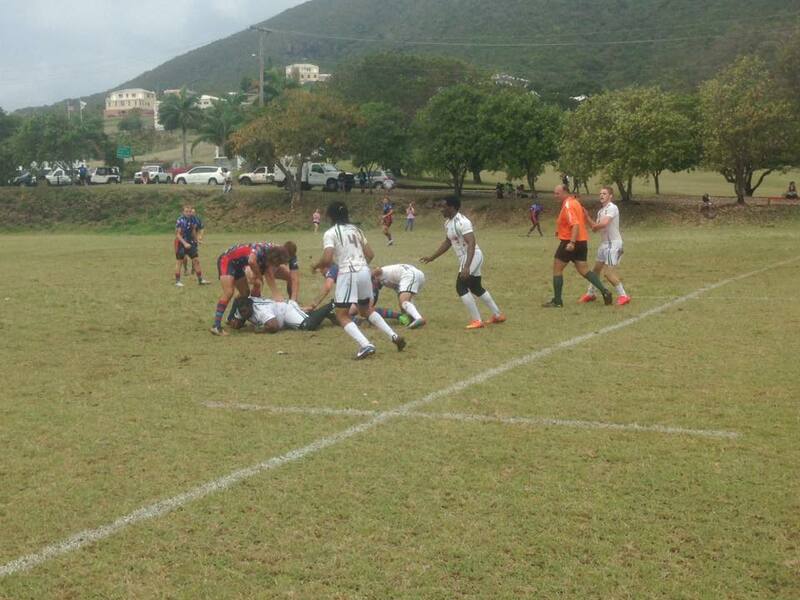 BVI RFU are very proud of what our team did at this tournament and intend to continue building up our program to compete internationally and give our players as much exposure as they look to achieve. On Friday 17th March 2017 under the lights on the A.O. Shirley two matches of 7's were played. 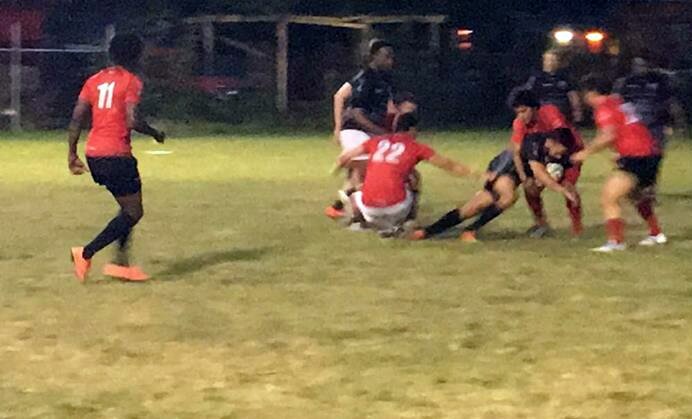 The Under 23 team headed to St Thomas, USVI for the Collegiate Paradise Rugby Smash tournament took on a local Senior side who although noticeably slower were also much larger including Andre "Stoosh" Adams, Kereem "Burger" Ettienne and Jack Fowler. The youngsters were quick off the mark picking up multiple tries in the first few minutes with speedsters Joseph Smith and Noel Maxwell easily outpacing the older folk. First match for rookie Colin Beckham saw him put on a stellar performance both at the ruck and with the ball scoring a try in the first half. Quality hands and clean recycling kept the Seniors in the match with big man Andre Adams blowing holes in the Under 23's defense with solid ball carrying breaking multiple tackles. Luke Sorters controlled the ball well from the scrum half position setting the pace for the old boys attack eventually breaking away for a try of his own. A tense last few minutes of play saw the final whistle with the score 30 - 25 with the young lads claiming victory after a clean 20 minutes of 7's. In the 2nd match of the evening a few trades were made to put some weight to the youth side and give the old boys some speed. 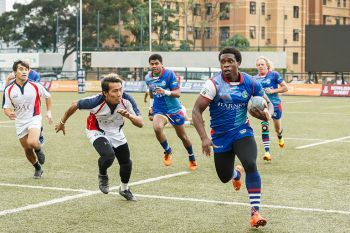 Forwards Kareem Etienne and Jack Fowler were sent down to the youngsters in exchange for speedman Kevin Fisher and young rugby prodigy Adriel Singh. 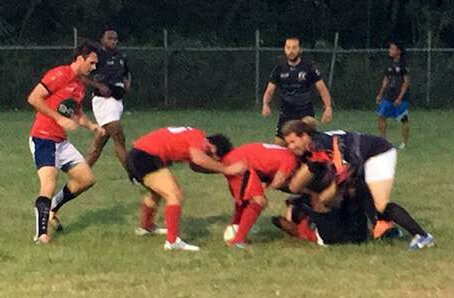 The trade acquisitions immediately got to work for their new teamates, each picking up tries in a match that ended 15 - 15 after two 10 minute halves. The team selected to travel to St Thomas to represent the BVI at the Collegiate level are as follows. Our annual trip to Hong Kong for the 7's is just around around the corner with all those traveling getting very excited. The members of HKCC are looking forward to a rematch of the game discussed in some highbrow rugby circles as "the greatest game ever played". The below article was posted in their newsletter. 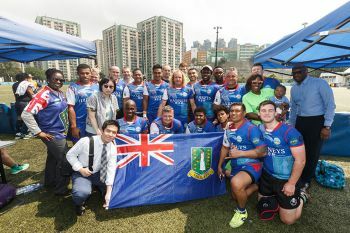 In 2015 lovable human cannonball and HKCC Rugby legend, Jeff Kirk brought a rag tag rabble from the BVI to HK to sample the delights of the city with the Fragrant Harbour. They are back for the 7s this year and are seeking a re-match in the Cannonball Cup. 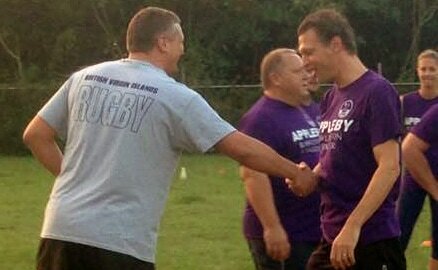 Last time we pipped them three tries to two in an enthralling match that some say was the greatest game ever played. For myself I still wonder what on earth Andy Mac and Nico where thinking when I put my hand up to carry forward off a free kick and pre-agreed with them that they would be there to clean out. Having dominated the contact carrying into the teeth of their pack and cleanly placed, I could only look on with disbelief as I saw my team mates standing still 15m behind me, seemingly surprised that I had caught the ball when the halfback passed to me. In the meantime that traitorous cur, Chris Harvey (who was playing for the visitors) stepped over unopposed for the easiest pilfer you’ve ever seen. Harvey has seen the light and is organising our squad this time around, he has big shoes to fill following John Adebiyi as victorious captain in this match. Kirky assures us the BVI will be between Raiders and Livestyle in standard – which makes me think he has a few ringers lined up. This is the Monday night before 7s and there will be curry and beers in the Sportsman’s after the match. 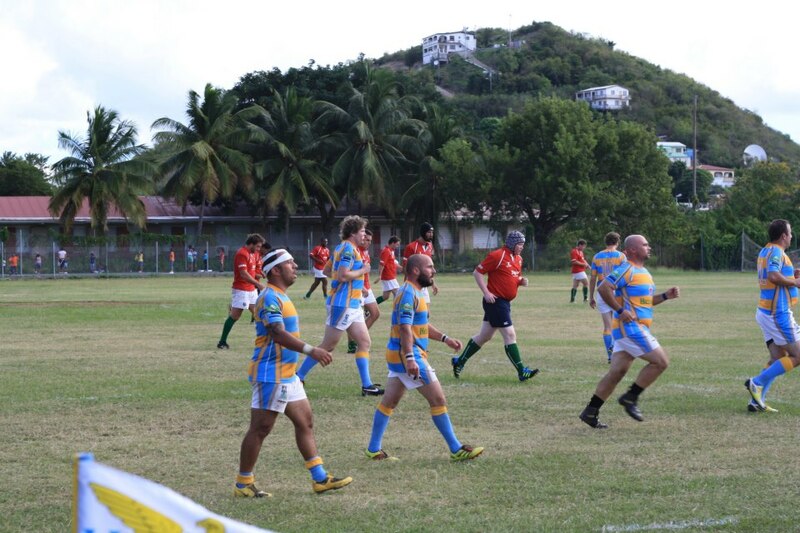 The BVI Rugby Football Union is announcing that its Annual General Meeting for 2017 will be held at Captain Mulligans, Nanny Cay, Tortola on March 16th at 7:30 PM. All members are encouraged to attend and to help us build the future of rugby in the territory together. The membership will have the chance to vote in the President, Chairman, Secretary, Treasurer and up to 8 additional members of the board whom will be charged with the day to day running of the union for the next 12 months. The meeting also serves for members to address any concerns and provide their input. It's your club, you get out what you put in.